Winterkorn: Renschler and Diess "are managers who did good work in their previous jobs, otherwise we would not have hired them." FRANKFURT (Reuters) -- Volkswagen Group CEO Martin Winterkorn sees Andreas Renschler and Herbert Diess, hired by VW from rivals Daimler and BMW respectively, among his potential successors, according to German weekly magazine Stern. 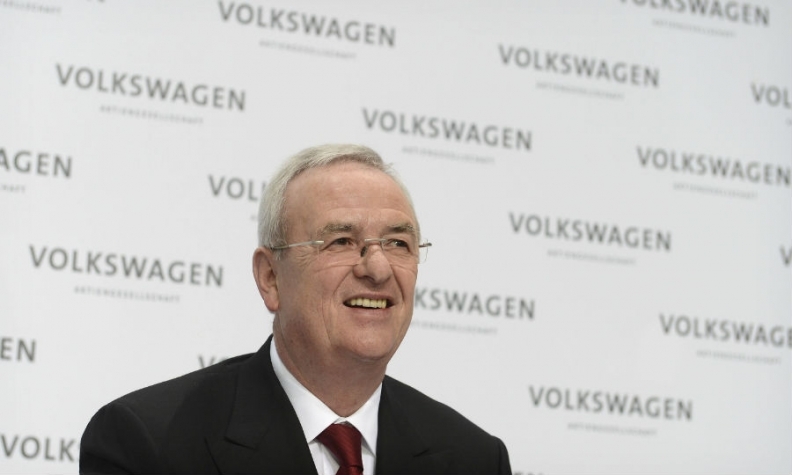 "The decision about who will succeed me is not an easy one for the supervisory board," Winterkorn was quoted as saying. Winterkorn has gradually been preparing VW Group for a change in leadership by shoring up management ranks. Both Renschler and Diess were in the running, Stern said today. Winterkorn's contract as VW Group CEO runs until 2016. "Both colleagues are managers who did good work in their previous jobs, otherwise we would not have hired them," Winterkorn told the magazine, adding that internal candidates were also regarded as potential leaders. "A Volkswagen boss has to have a big affinity to our products. He needs to be close to customers, and he needs to have a relationship to dealers," the magazine quoted Winterkorn as saying. "And he has to have a certain level of social acceptance within the company. Like always it depends on the personality," Winterkorn said. It also helps if the candidate is an engineer, he added. Asked whether he could imagine carrying on another four years, Winterkorn said: "Who knows. My contract ends in 2016, and it depends on the situation. Four years ago I could not have imagined working until I am 69." Renschler became head of VW's truck division on Feb. 1. Diess will take Winterkorn's job as VW brand CEO on Oct. 1 while Winterkorn will continue as group CEO.